What is a Skimbaco Moment? I think it depends who you ask. 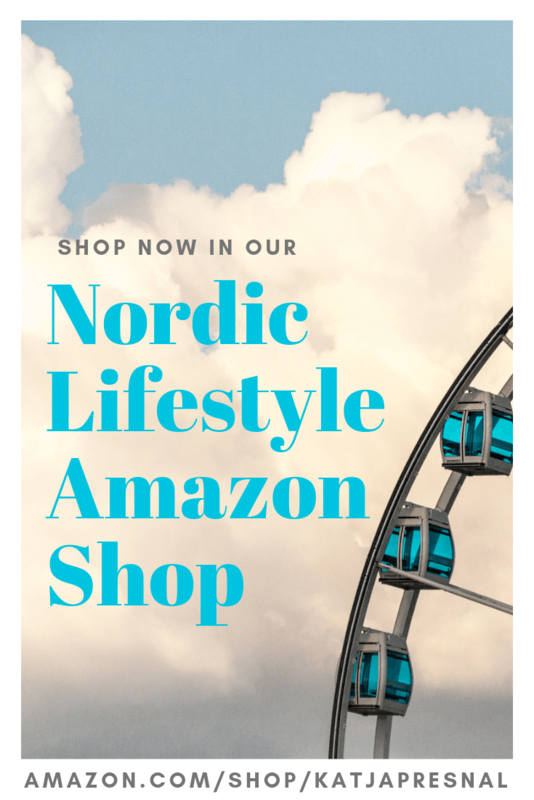 For Skimbaco’s editor-in-chief Katja Presnal, a Skimbaco Moment happens when she is living life to the fullest, embracing it with zest, and spreading her passion for living well with her readers and with the world. 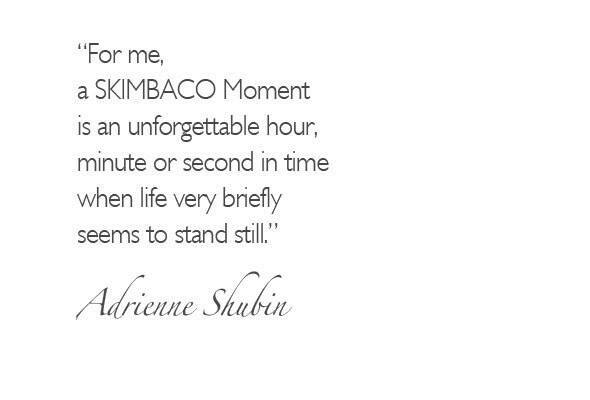 For me, a Skimbaco Moment is an unforgettable hour, minute or second in time when life very briefly seems to stand still. Words that come to mind when describing a Skimbaco Moment are “awesome”, “jaw-dropping”, and “thrilling” but also words like “happy”, “loved”, “peaceful”, “grateful” and “accomplished”. I have Skimbaco Moments daily. Most of them are small like a cute expression on my dog’s face, a quiet afternoon cup of tea or a thoughtful text from a friend. And others are big. Really big! I thought about my most memorable Skimbaco Moments of 2013 and narrowed them down to ten. I included some big moments and some small as they both have meaning for me. 1. Visiting the Summit of the Eiffel Tower. 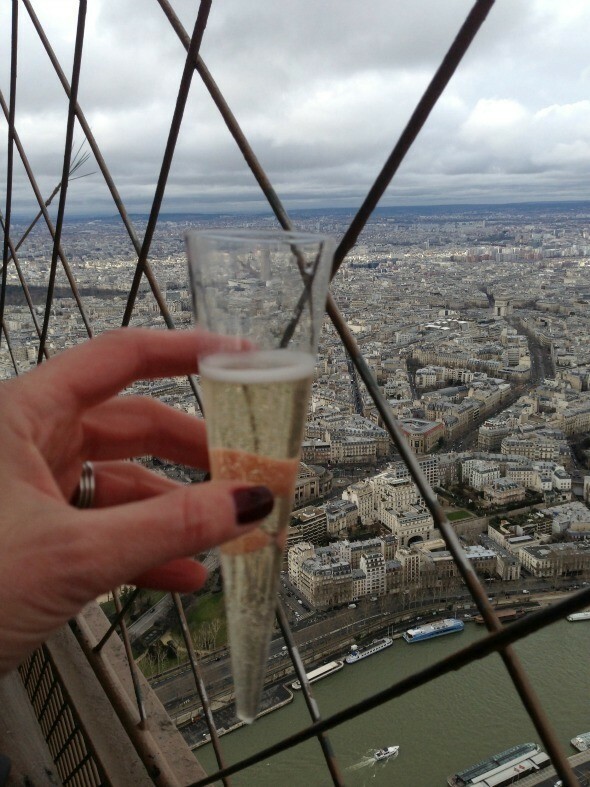 Last March, my husband and I took my stepdaughter to Paris as a high school graduation present. She wanted to visit the summit of the Eiffel Tower and although riding in a crowded elevator is one of my least favorite things, I couldn’t say no. I am so glad I agreed to go! 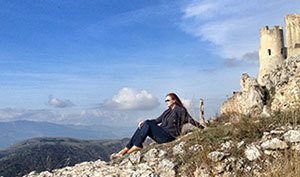 The views from the summit are jaw-droopingly spectacular and the experience was only made better by enjoying a glass of French champagne. Santé! 2. Watching baby birds in my backyard. You don’t have to travel to another continent to have a Skimbaco Moment. They can literally happen in your own backyard! 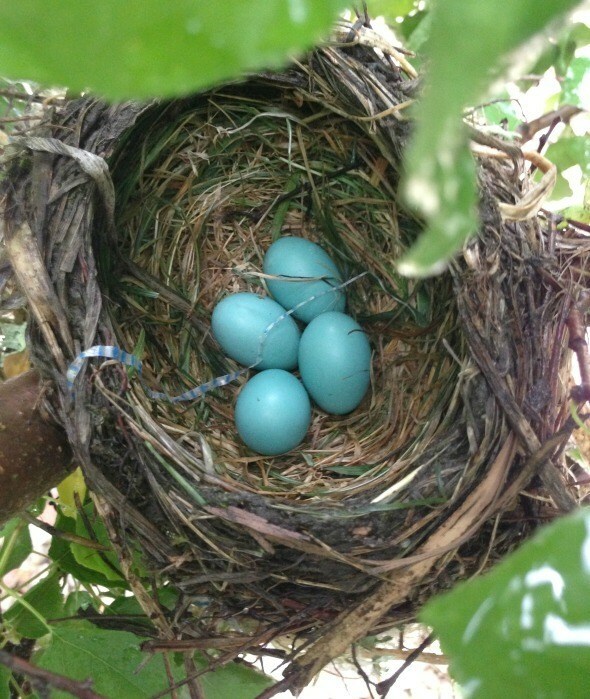 I came across this nest of Robins’ eggs in a small apricot tree not far from our backdoor. I cautiously photographed them with my phone over the course of a few weeks and posted photos to Instagram. Soon followers were getting in on the baby bird watching. I loved witnessing nature at its best and was sad to see them fly away. I kept the nest intact and am hoping that another family will set up their home there next spring. 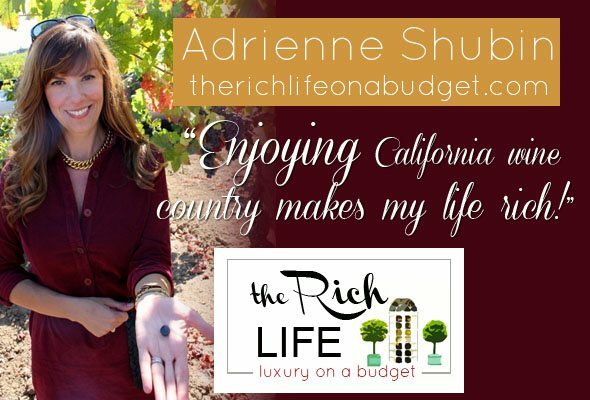 In 2013, I met two of my favorite Northern California fashion and lifestyle bloggers, Heather of StyleMindChic and Kim of Northern California Style. 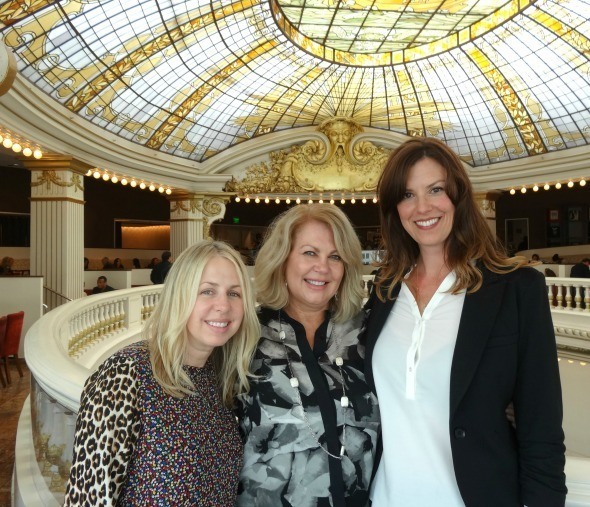 We planned an overnighter to San Francisco for the three of us to do some holiday shopping and get to know each other better. I contacted one of my favorite hotel groups, Kimpton Hotels, and asked if they would be interested in sponsoring us. They were more than happy to and we were thrilled! Our Bloggers in the City getaway was a big success. We are hoping to do again in 2014 with even more bloggers and maybe venture out to another city like New York! You can read all about our trip in this post and find out about our fantastic Union Square accommodations in my Skimbaco article, Living the Rich Life at Kimpton’s Hotel Monaco in San Francisco. Last summer my husband and I took our two Yorkshire Terriers to Los Angeles with us to visit some friends who have two miniature dachshunds. One day, in our friends’ pool, we got all four of the dogs to float on a raft. It was both adorable and funny and a moment I will always treasure. As a teen who dabbled in modeling, one of my dreams was to be in a fashion magazine. 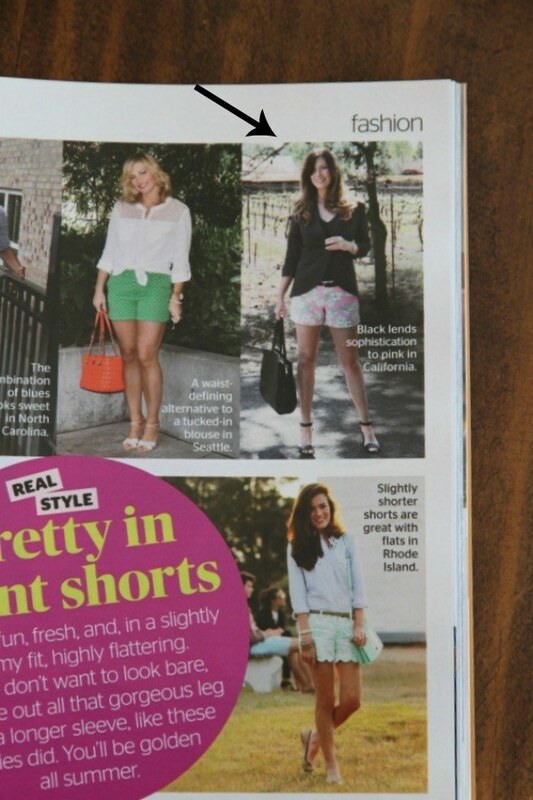 Last spring, Redbook Magazine contacted me and asked for photos in printed shorts. I jumped on my chance and several months later, I was in print: page 77 in the August 2013 edition. That moment, paging through the magazine in the supermarket aisle and seeing myself on the page, is one I will never forget. Sometimes dreams take a very long time to come true. 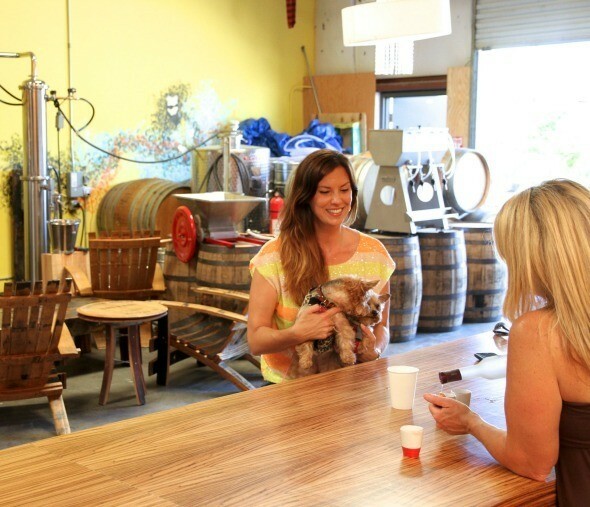 As part of The Lodge at Sonoma’s Sommelier Spirits Selection, I got the chance to taste and tour Hello Cello, Sonoma’s premier distillery specializing in limoncello, bourbon, and many other spirits. You can read all about my fun and tasty experience in this Skimbaco article. Every year for my birthday I travel somewhere. This year my husband and I and our dogs traveled just an hour to the metropolitan city of San Francisco. 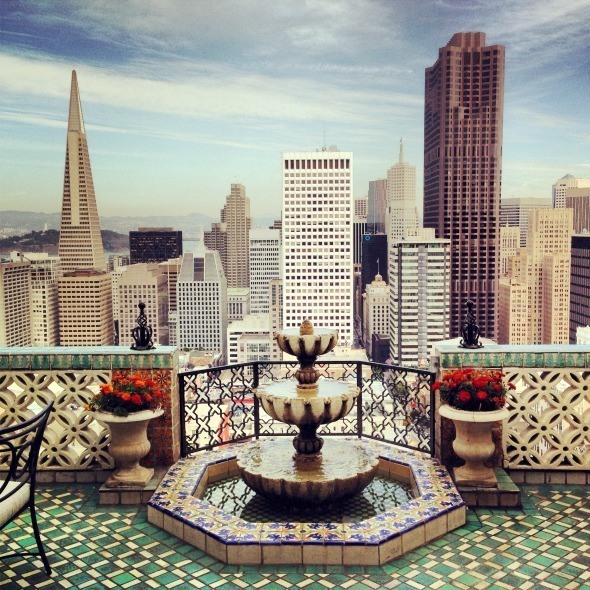 We stayed at the world famous Fairmont San Francisco Hotel. During our stay we had a tour of the hotel that included a walk through the 6,000 square foot suite which has been featured in films and TV shows and hosted Presidents, celebrities and dignitaries from around the world. It’s an experience I won’t soon forget. The view from the patio is especially memorable. My husband and I took a picnic and our chances on a cloudy spring day earlier this year to a local vineyard. 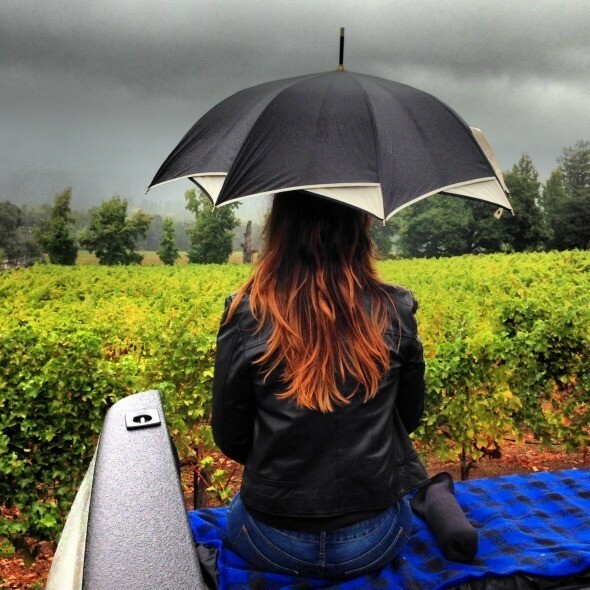 Once the rain started coming down, we simply got out our umbrellas and continued to enjoy our lunch and the peacefulness of the rain falling on the grapevines. We never let a little water ruin a perfectly good picnic! For our wedding anniversary in 2013, my husband and I didn’t travel far. 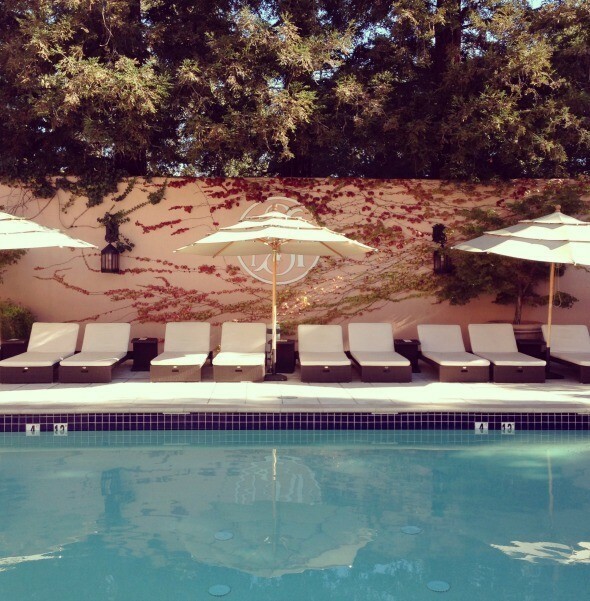 For the first time, we stayed at The Fairmont’s Sonoma Mission Inn, about a 15 minute drive from our home. After my wonderfully relaxing massage, we enjoyed the serenity of the pool, especially the pool that plays soothing music under water. In December I was invited to stay in Cambria at Cambria Inns on Moonstone Beach. 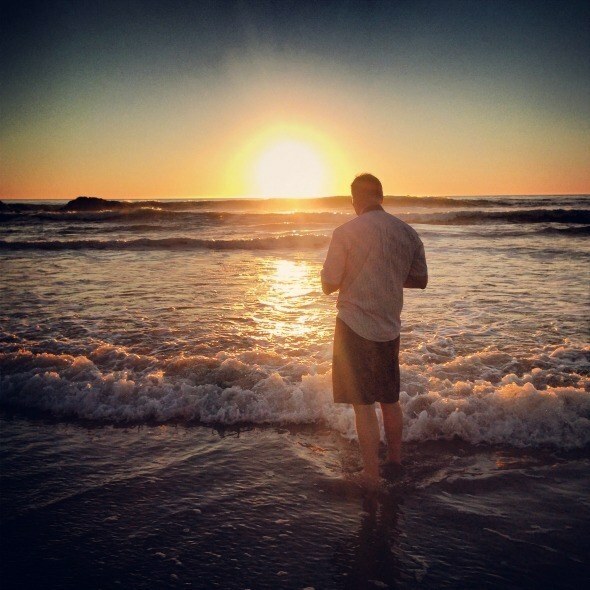 My husband, a hobby photographer who always accompanies me on my trips, enjoyed practicing his craft on the gorgeous sunsets and beaches in the area. Next month I will be writing about our fantastic stay on California’s Central Coast including visits to wineries and an olive farm and lots of natural beauty. Stay tuned! What are your top Skimbaco Moments of 2013? Thanks for the love girlfriend! We had an amazing trip to the city for #bloggersinthecity. You are a kind and generous friend. What a year you’ve had! This really helped me get to know you better. Thank you for sharing. The dogs rafting are cute, but I love the picnic photo. Happy New Year! Adrienne what a wonderful roundup of Skimbaco moments! I love your appreciation of life’s moments… both large and small and your ability to share your zest for a beautiful life! Wishing you a 2014 filled with the best Skimbaco moments yet! I love all of your Skimbaco moments, but the rafting dogs just melts my heart! !